In our Junior-Jitsu class, children aged 5-14 have been learning how to defend themselves against larger, stronger opponents with a unique set of self-defense techniques. 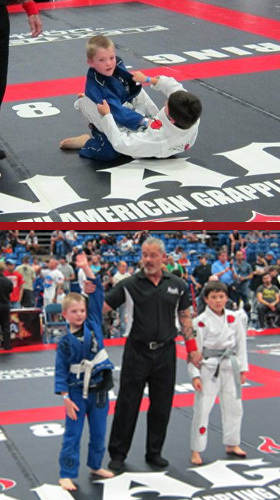 While the kids in our children’s class love Jiu-Jitsu because of how fun it is, the real benefits are far greater. They will learn discipline, gain confidence, and get in great shape!